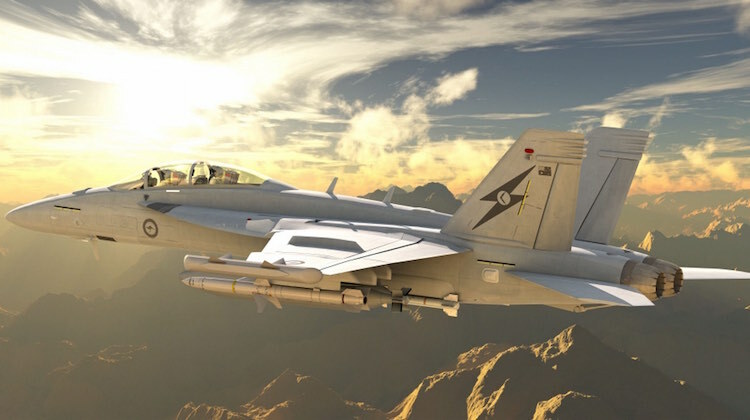 The US has approved the possible sale to Australia of a missile training capability for the Royal Australian Air Force’s forthcoming EA-18G Growler electronic attack aircraft. The Defense Security Cooperation Agency stated that it notified the US Congress of the potential deal under the Foreign Military Sales (FMS) program, which is estimated to be worth US$69 million, on June 19. The agency stated that the Australian government has requested the possible sale of: up to 14 AGM-88B High Speed Anti-Radiation Missile (HARM) tactical missiles, 16 AGM-88E Advanced Anti-Radiation Guided Missile (AARGM) tactical missiles, four CATM-88B Captive Air Training Missiles, eight CATM-88E AARGM training missiles, six AARGM guidance sections, five AARGM control sections, and two AARGM Tactical Telemetry Missiles for live-fire testing; containers, spares and repair parts, support equipment, publications and technical documentation, personnel training and training equipment; US government and contractor engineering, technical and logistics support services; and other elements of logistics and program support. The principal contractor will be Orbital ATK Defense Electronic Systems. Australia is acquiring 12 EA-18G Growlers, the first of which is due to be formally rolled out in coming weeks. These jets are going to be significant force multipliers for the RAAF. I was reading a blog article on Foxtrot Alpha, which was an interview with a Growler pilot. I don’t think I can link here but search the blog name plus Growler. Towards the end of the interview it was described what massive growth potential there is in the Growler. Basically replace the external drop tanks with CFTs, drop the old ALQ-99s for the sleak, stealthy NGJ pod, add the Advanced Super Hornet crew stations and you will have an aircraft that is able to do its job significantly better or free up heaps of weapon station space to transform it from an EW/SEAD platform to a EW/DEAD platform. Hopefully this initial buy will allow ARDU and the DSTO to decide on a suitable war stock of EW missiles for the 12 RAAF Growlers. Should circumstances require more EW assets the 2nd 12 Super Hornets that were prewired could be remanufactured into 24 Growlers in RAAF service.